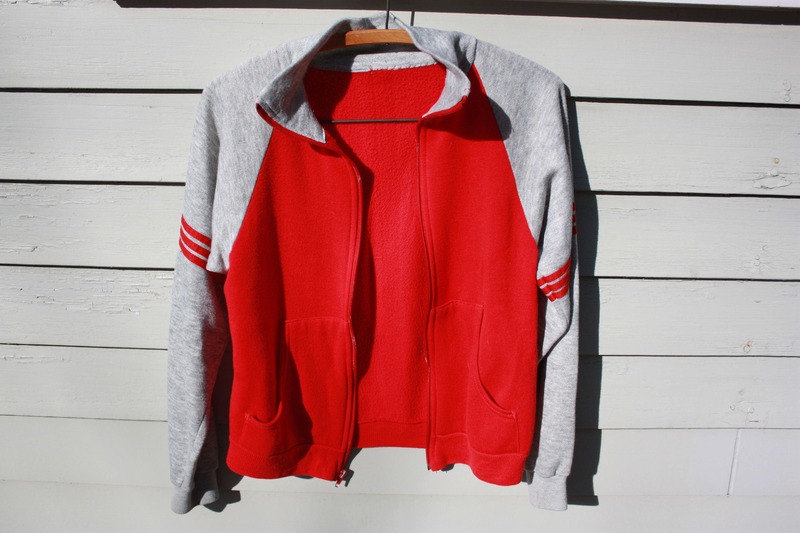 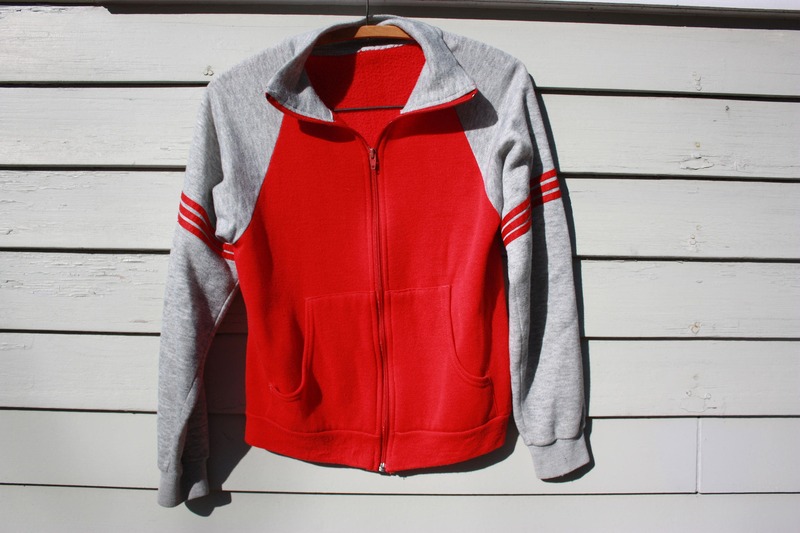 Super soft vintage red and grey sweatshirt. 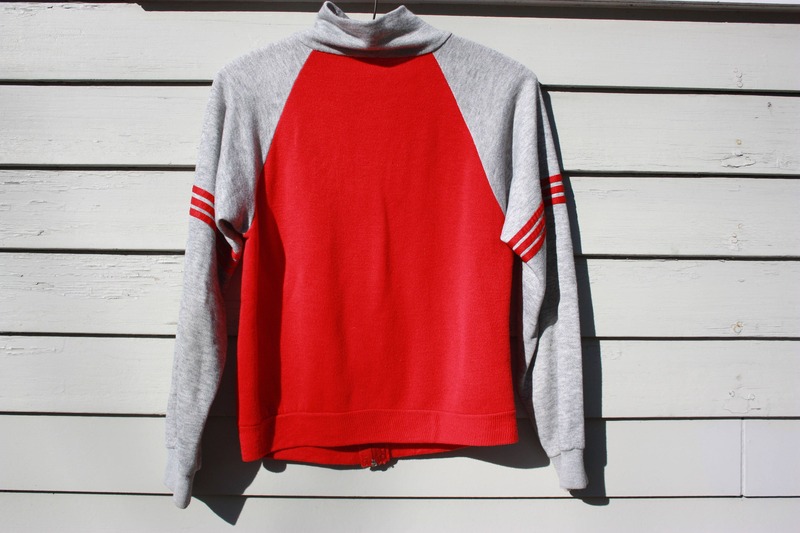 Sweatshirt has grey mock collar and sleeves with three red stripes. 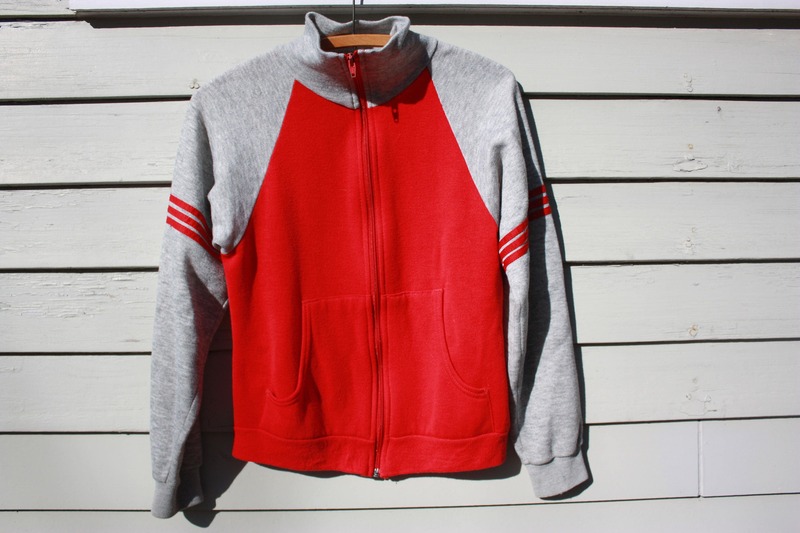 The body, zipper and two hand pockets are red. 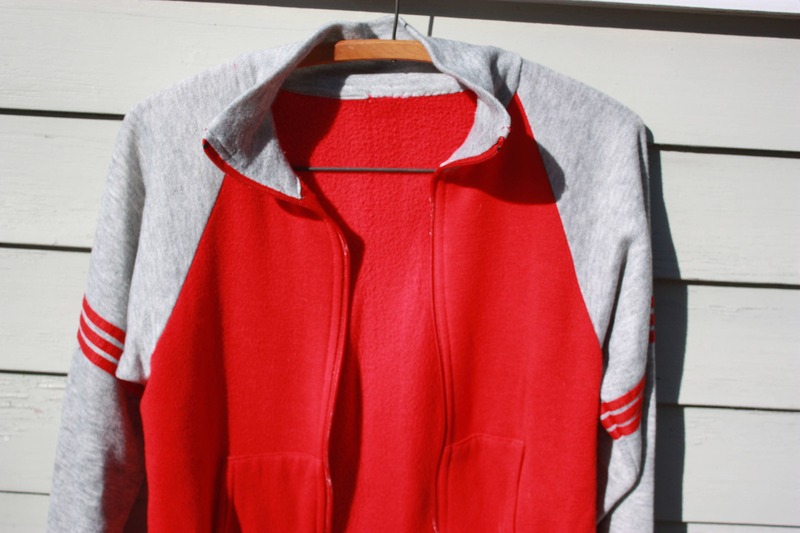 Condition: Very Good Vintage. 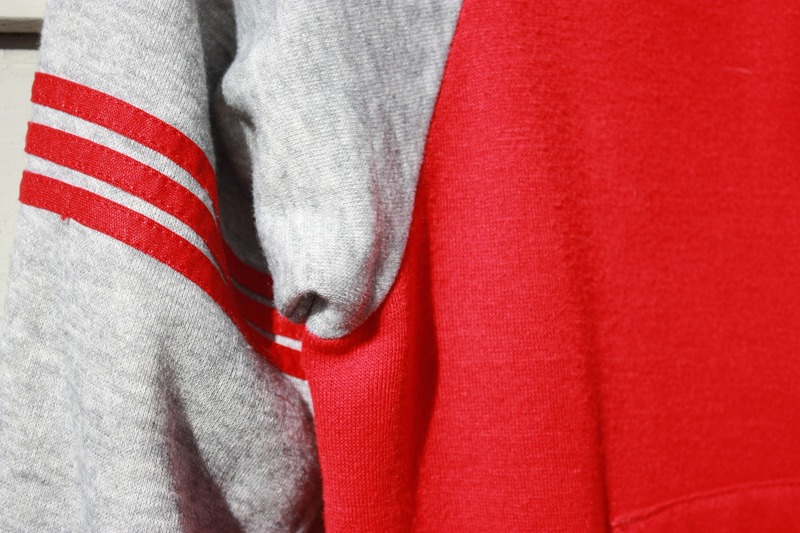 Soft and Comfortable from wear but no rips, stains or holes.